Today, many inhabitants of the Westminster village will glance up to take a passing interest in events a few miles west along the Thames. For in leafy Richmond, a by-election is taking place. Zac Goldsmith triggered this contest by resigning as MP for Richmond Park in protest at his government’s support for a new runway at Heathrow. He then declared his intention to stand as a candidate to become the new MP for Richmond Park in the same election that he had just forced. Such parliamentary shenanigans may look odd to the outside world - not many people petulantly resign from a job and then immediately reapply - but they are perfectly legal, if extremely costly to the taxpayer. So, the people of Richmond Park will be dragged to the polling booths. Again. Several candidates are standing but the bookies suggest that the contest is likely to come down to Mr Goldsmith vs the Liberal Democrat candidate, Sarah Olney. Whilst Westminster and Richmond Park will be focused on the by-election, the rest of the country, and indeed the rest of west London will not. Outside of London’s wealthiest borough, Heathrow’s expansion is broadly welcomed. Fortunately, many west Londoners can look forward to a bright future now that a new runway at Heathrow has been approved. Whilst there are some opponents in Richmond with legitimate concerns, it is important to remember that Heathrow expansion is backed by most residents living in the boroughs near the airport. Nor should it be forgotten that whilst Richmond already benefits from plenty of prosperity, this isn’t necessarily the case in other areas of west London where unemployment is much higher. Communities in these areas will really benefit from the jobs, apprenticeships and additional investment that a bigger, better Heathrow will bring. 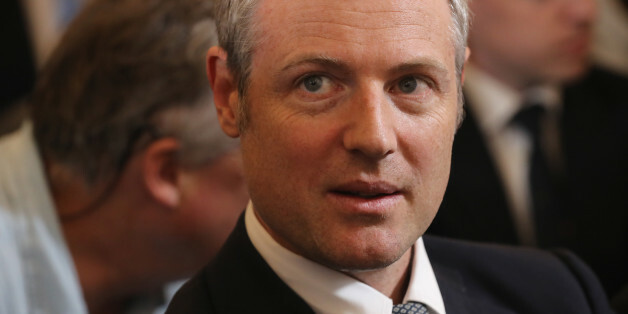 Last week, Zac Goldsmith organised a rally on Richmond Green to protest against Heathrow expansion, the subject that brought him to resign in the first place. Even the presence of the Liberal Democrat contingent could not swell the numbers beyond a few hundred. The candidates must hope that more people vote on Thursday. The turnout compares poorly when you consider that tens of thousands of west London residents recently wrote to the Prime Minister to ask her to back a new runway at Heathrow. The Richmond Park by-election may stir up the media for a few hours but it is a self-indulgent sideshow. Britain deserves better and by expanding Heathrow, our biggest port, we will get it.